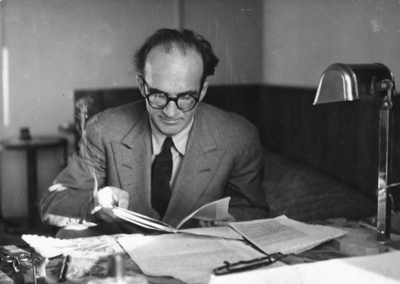 Mircea Eliade is one of the most appreciated historians of religion, a beloved Romanian writer, a phenomenologist of religion and a philosopher. His studies were seminal not only in Romania but all over the world. Although his work led him abroad, to teach at the Sorbonne and at the University of Chicago, he holds a special place in the hearts of his compatriots. He is so appreciated in Romania that his name even appears in graffiti’s on walls. His stories touch people from all walks of life, from politicians to high school students. He wrote 30 scientific volumes, novels, philosophical essays, 1.200 articles and has been translated into 18 languages. Which is why it might seem shocking to learn that, as a student, he almost failed three subjects in one year. He was not a conscientious student and despised doing his homework. But that is not to say that he was mediocre. Quite the contrary. He was brilliant from a very early age, but his interests lay elsewhere. He loved zoology and spent hours on end looking for all kinds of plants and insects. It was only later that he discovered his love of writing. His most influential work is the novel Maitreyi which was largely based on his real life romance with Maitreyi Devi. Eliade met her in 1928 when he travelled to Calcutta to study Indian philosophy and Sanskrit. 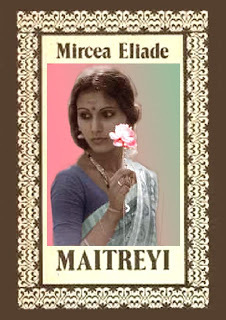 She was the eldest daughter of his teacher, Surendranath Dasgupta. He became so smitten with her that he was ready to convert to Hinduism. But the news of the affection between them did not sit very well with the girl’s daughter. He banishes Eliade and forbids him from ever seeing her again. In his work on religion, his most influential idea is that of the irreducibility of the sacred. The sacred should be understood as something autonomous and substantial, not something that can be explained away by recourse to psychological, economic, social or historical factors. Another seminal idea is that humans experience the sacred through profane phenomena. God, in his infinite perfection paradoxically expresses himself through ordinary worldly forms like trees, rivers and animals. But this is no more confounding than the eternal mystery of the Incarnation in which the Son of God takes a human form. ”Mircea Eliade (1907-1986)”, Westminster.edu, Available at: http://www.westminster.edu/staff/brennie/eliade/mebio.htm, Accessed: 07.17.2015. Allen, Douglas, ”Mircea Eliade. Romanian religious historian and author”, Encyclopaedia Britannica, Available at: http://www.britannica.com/biography/Mircea-Eliade, Accessed: 07.17.2015. Vancu, Anca, ”Români de geniu. Paradoxul lui Mircea Eliade: de la corigentul miop la savantul excentric”, Adevărul, November 22nd 2014, Available at: adevarul.ro/cultura/carti/romAni-geniu-paradoxullui-mircea-eliade-corigentul-miop-savantul-excentric-1_54702ced0d133766a821e1c7/index.html, Accessed: 07.17.2015.